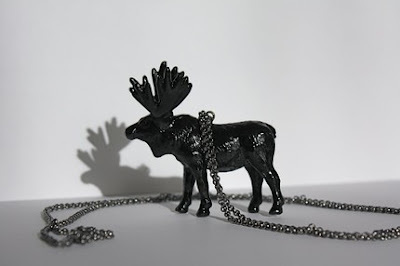 The ingenuity of certain jewelry designes never ceases to amaze me. I don't know what it says about me that I really want to buy pieces from both of these shops and perhaps wear them together??? me gusta! however, i can see the punks at the airport trying to give me crap for the knife necklace. LOL. Just don't try it going through airport security!!! I'm really fond of that cheetah necklace - very Kenneth Jay Lane. Cute squirrel too. Great finds! 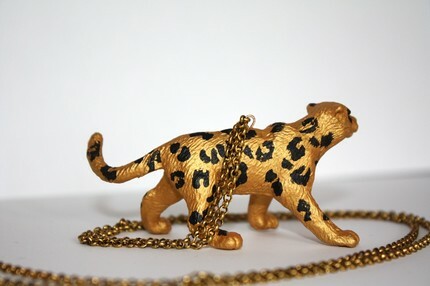 Love the leopard and the guns! you make me laugh with that disclaimer!! 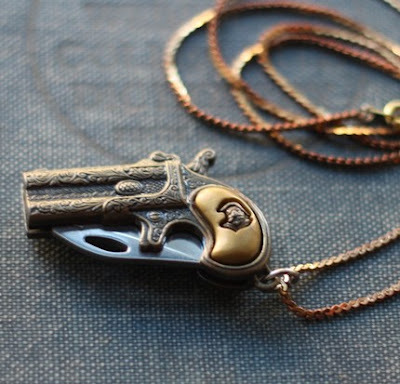 love the first gun necklace and all the animal one, especially the reindeer!! I don't think I would be able to get into work with gun/pocket knife though (I work in a high security building, worse than the airport) I would have to remember not to wear it to work! 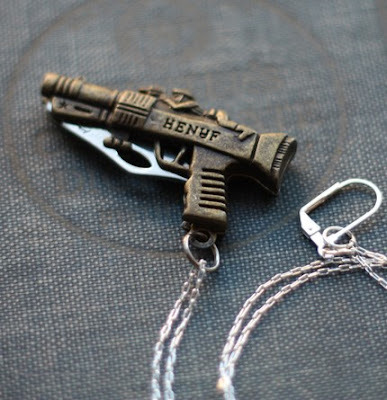 Very clever and handy, those little gun necklaces are! 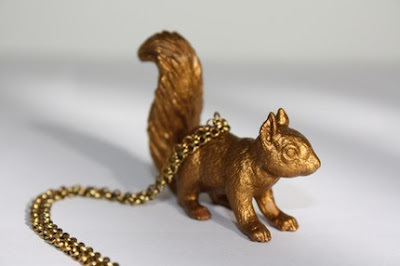 Oh my that squirrel is so adorable! 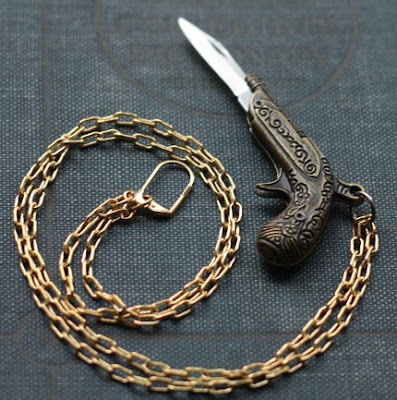 i was loving the gun ones until i saw the pocket knife. HILARIOUS!!! Aaahh! I love these! Especially the gun that looks like a pirate gun! Funny Expat story: When learning my friend was American, a French person asked her "Do you have a gun" I almost couldn't stop laughing! have an excellent weekend christina!